From the calendar, you can do all your planning, scheduling and rotas. Afterwards we make it easy to promote your events on your website, in newsletters and social media. With a single click, you can have all of your Sunday Worships shown on your website. With our powerful integration to Facebook you can can share your events now or schedule for later. Register attendance directly from your smartphone: no need to record attendance via pen, paper, and cumbersome spreadsheets! 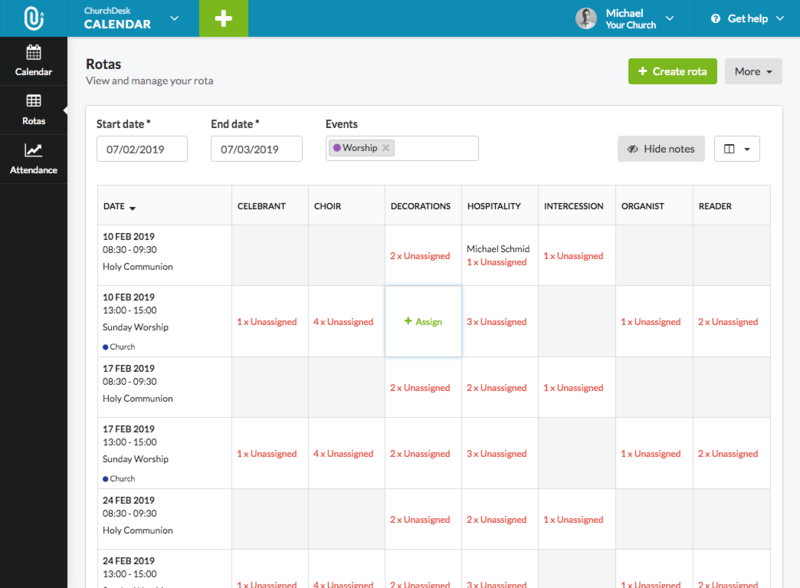 With our rota management it's easy to assign and manage recurring work between staff and volunteer teams. Invite the entire choir in one click. We'll let you know immediately if someone's already booked for something else. Get an easy overview of which activities and events you could benefit from investing more in. 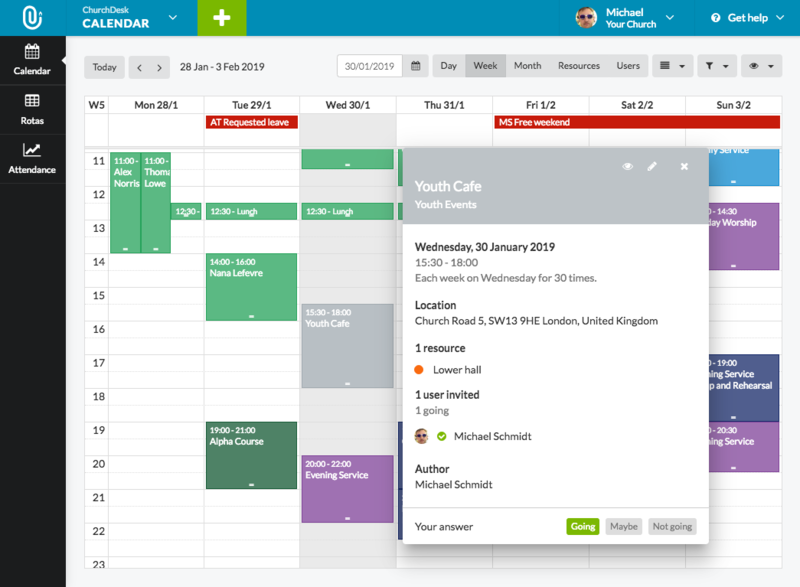 Scheduling is very easy with a smart overview that can be customised the individual user. This helps you make sure all rotas are assigned and services scheduled. Each person can choose how they want to be reminded of upcoming rota with automated SMS and e-mails. We also enable print-out options and easy sharing via link. You can assign tasks or leave them unassigned for people. On each task we enable internal notes to add more information. In our Groups, users can discuss their rotas or ask for help.